Six Exotic armor pieces are getting tweaked next week. 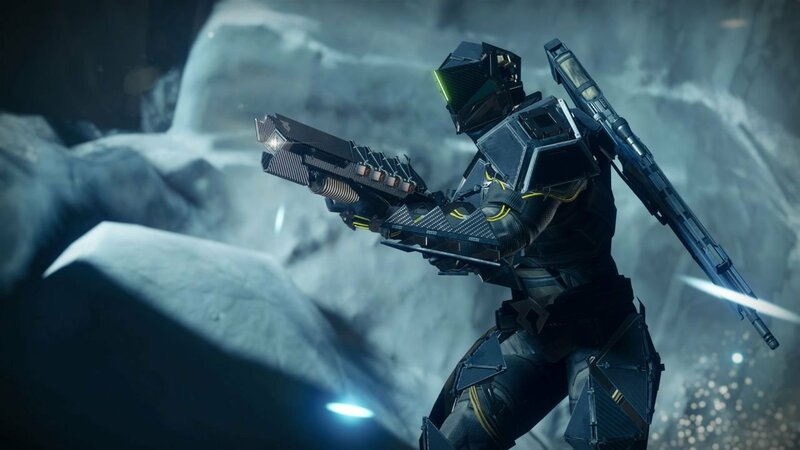 Starting May 29, Destiny 2’s Exotic armor will be getting an overhaul in cooperation with the recent changes made to Exotic weapons with the launch of Warmind. In Destiny’s 2’s upcoming 1.2.1 update, six Exotic armor pieces (two for each class) will be receiving changes. These armor pieces include: Lion Rampant, Synthoceps, Mechaneer’s Tricksleeves, The Dragon’s Shadow, Lunafaction Bracers, and Sunboots. The adjustments made to the Exotic armor pieces seem to prioritize either fine-tuning of perks or enhancements. Below, you’ll find the full list of changes coming to Destiny 2’s Exotic armor for each class. Synthoceps: Synthoceps now grants a flat bonus to melee and Super damage when surrounded by three or more enemies. The buff is retained for a short duration after you are no longer surrounded. Lion Rampant: You can hipfire while Lift is active without interrupting it, and your aerial hipfire doesn't have an aerial accuracy penalty. The Dragon’s Shadow: Dodging reloads all weapons simultaneously. The effects of Wraithmetal Mail now also include a bonus to mobility. Mechaneer’s Tricksleeves: Swapping to a sidearm while critically wounded greatly increases its damage. Lunafaction Boots: Rift reload is automatic instead of being activated on entry/exit. Empowering Rift makes weapons more effective at extended ranges. Sunbracers: Original effect replaced with: Increases the duration of Solar Grenades. Solar melee kills grant unlimited Solar Grenade energy for a brief time. For more on the changes coming to Destiny 2, be sure to check out the latest This Week At Bungie blog post. What do you think of the Exotic armor tweaks? Is there anything you’re looking to try out, or do the changes have little effect on your Destiny 2 experience? Let us know your thoughts down in the comments below!